There are a few ready-made foods I will buy at the store -- and hummus is one of them. It's a quick and easy snack to have on hand for impromptu company -- except if it's my brother-in-law Bob. Although I was sure that there was no food on earth that Bob wouldn't like, he can't stand hummus. He must have had a bad first experience. I tried to convince Bob that the real deal -- made from scratch with dried chickpeas, fresh garlic, and roasted red peppers -- was infinitely better. Although he gamely tried it, he still made a horrible face and was proud that at least he tried it. And even though homemade hummus using canned chickpeas is still much better than store-bought, taking the extra time to soak and cook dried chickpeas makes a world of difference. And my brand-new food processor (Thanks, Amy!) makes it a snap to make. You can keep some nice little chunks of chickpeas in the mixture. 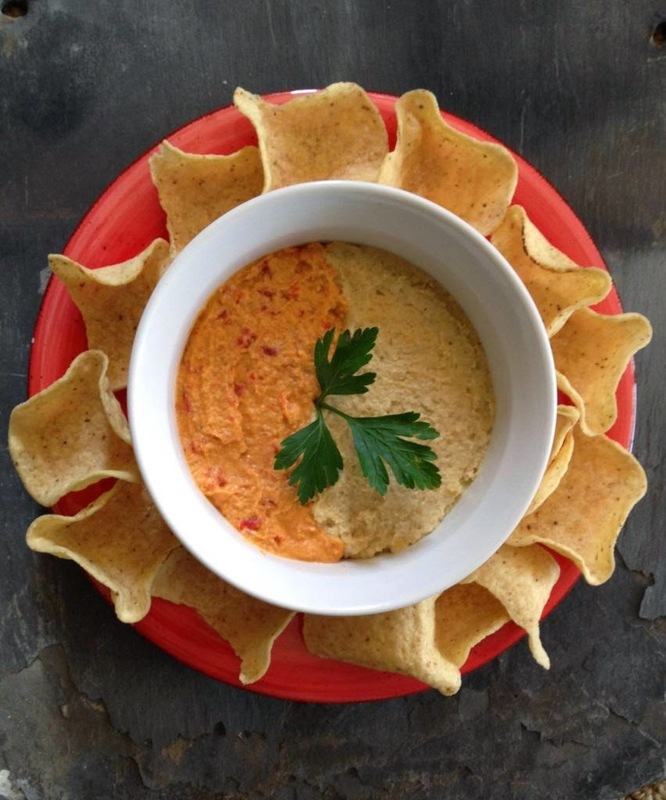 So I divide up my basic garlic hummus and add jarred roasted red peppers to it. I suppose if I was totally true to my "homemade is better" credo, I'd roast the peppers myself, too, but I have to draw the line somewhere for this self-indulgent treat. I'll spread hummus on my morning toast or spread a layer on a tortilla when making a quick wrap for lunch. So buy yourself some dried chickpeas and tahini and make this. By the way, I love Mark Bittman's book, How to Cook Everything. I even have the app for my iPhone, and use it especially for things like checking times for roasting eggplant or making stir fry. I don't really consult it for recipes, but for reminders about cooking basics. Whir everything together in the food processor until you have it as smooth as you want it. Add a little water a little at a time if it's too thick. 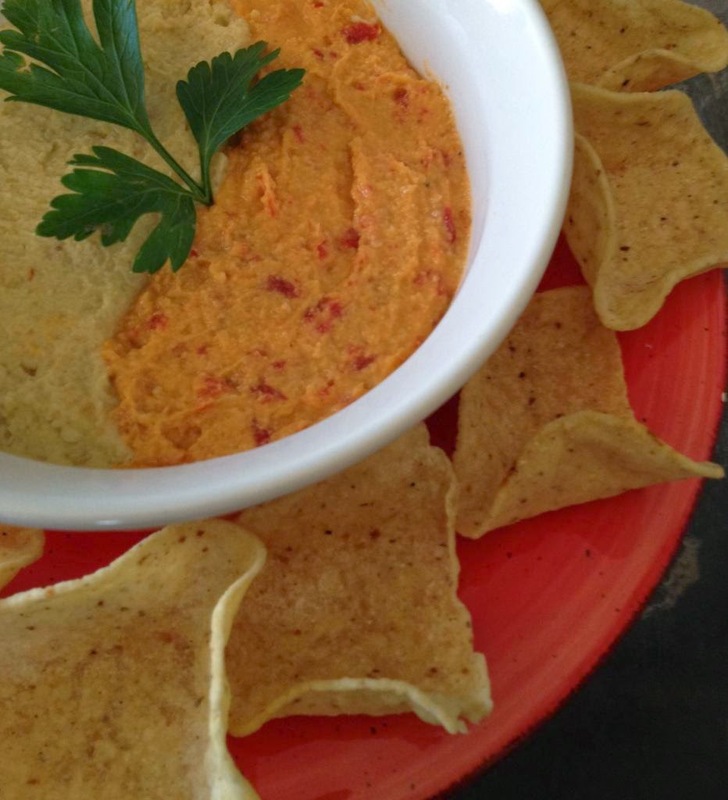 To make roasted pepper hummus, add two roasted peppers to the food processor. To make my "yin and yang" version, I usually halve the hummus before adding any water and add the red peppers to the remaining hummus in the bowl. The peppers retain some moisture so they really don't need any more. To the "plain" hummus I then just stir in some water.